Just what is digital DJing, anyway? First, we can at least work out what the S8 is. It’s an audio mixer with control surfaces on both sides. It’s hardware made specifically to sell software (or the other way around, if you like). As NI’s Maschine Studio has done for producers, it uses big, color screens on the hardware to keep your eyes on that controller rather than on your laptop. It has a hardware layout tailored to the functionality of Traktor – deck controls, browsing, Remix Decks. 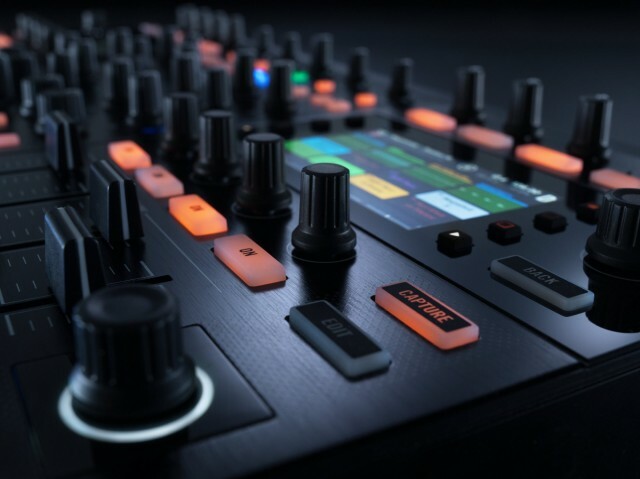 And it builds in an audio interface and 4-channel hardware audio mixer for connecting external gear – CDJs, turntables, synthesizers, whatever. You wouldn’t use the mixer without the computer, but at least it acknowledges you might get audio signal to and from the outside world. There are two design decisions likely to generate discussion. Firstly, the S8 is big – really big. It’s 58.5 cm — that’s nearly two feet. (It joins various other popular controllers, notably Pioneer’s flagship DDJs, in the same territory.) The 5kg/11lb weight isn’t so bad, but the physical hulk means you need dedicated space in a DJ booth to play it, and transportation is a challenge. (EDM = America = trucks?) Secondly, it drops jog wheels and per-deck tempo controls in favor of touch strips and a master tempo control. To people who aren’t armchair DJ controller critics, that last bit may not sound like the stuff of forum flame wars. Those folks, who I will dub in ethnographic terms as “normal people,” just read “Well, that’s a big heavy thing with lots of lights. And now something is something or other something else I’m bored.” Or, no, actually, they’re looking at pictures of cats, so never mind. To the computer DJ, the new controllers are blasphemy for a simple reason: they cement the idea that you might not be manually beat-matching tracks. (Oh, the humanity!) To be fair, this isn’t just an idea espoused by random people on forums; some very famous DJs have said the same thing. The idea is, the essence of DJing, as received from the legacy of playing on two turntables, is manually adjusting the position of a record platter and its playback speed to match two tracks. In the worst case version of this world view, automatic tempo sync is simply the work of Satan, the end of music, and the beginning of the end times. In the best case, it’s an automatic transmission in a car: sucking the fun out of driving, and not entirely effective. There are some problems with this orthodoxy, however. Reducing turntablism to beat matching is more than a little simplistic. 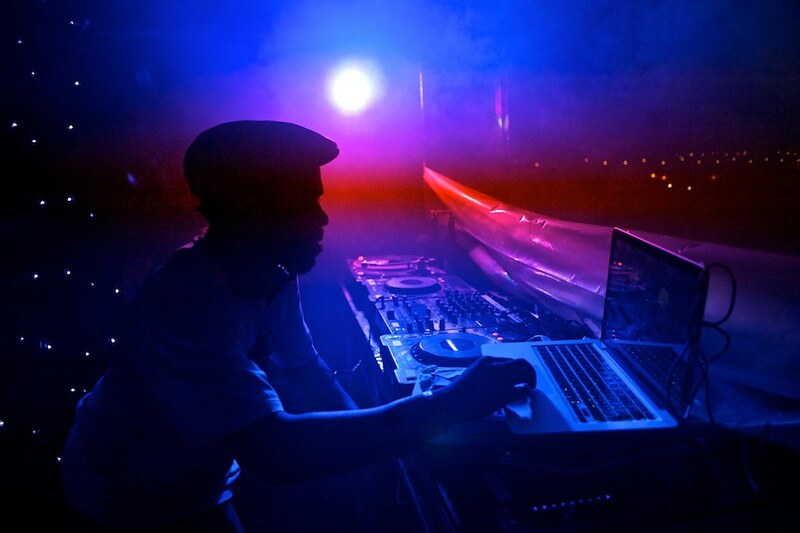 As early as the 70s, DJ technique, flourishing in places like the Bronx, had already expanded to breaks, remixes, beat juggling. By the 80s, it added drum machines and even more-involved turntable technique – backspins, punch phrases, stuff you actually can’t do on those hulking plastic controllers. Great turntablists play vinyl like a musical instrument, not just a mechanism for mixing tracks. Perhaps, then, beat matching is fundamental, but it didn’t take long for pioneers to move on to new things – Kool Herc, Frankie Knuckles, Grandmaster Flash. 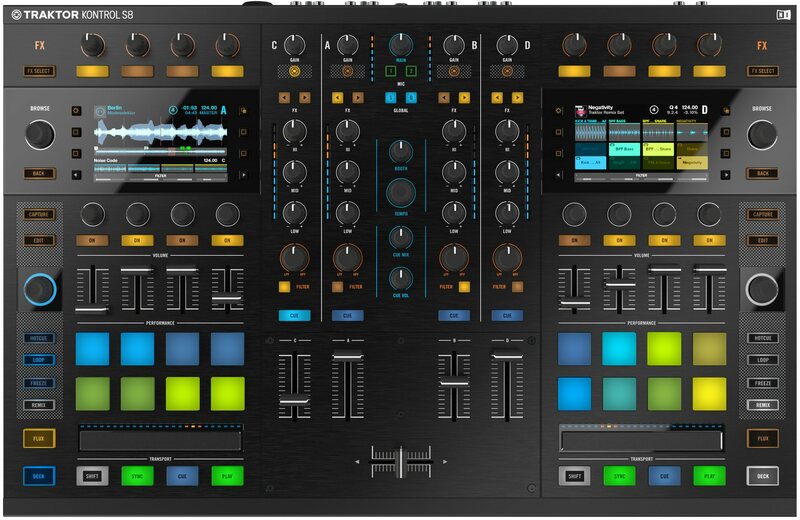 Whether it succeeds or not, the Remix Decks in Traktor and other controllerist machinations have far more to do with DJ history than using a plastic disc to manually cue does. And about those plastic discs. A controller simply isn’t a turntable. 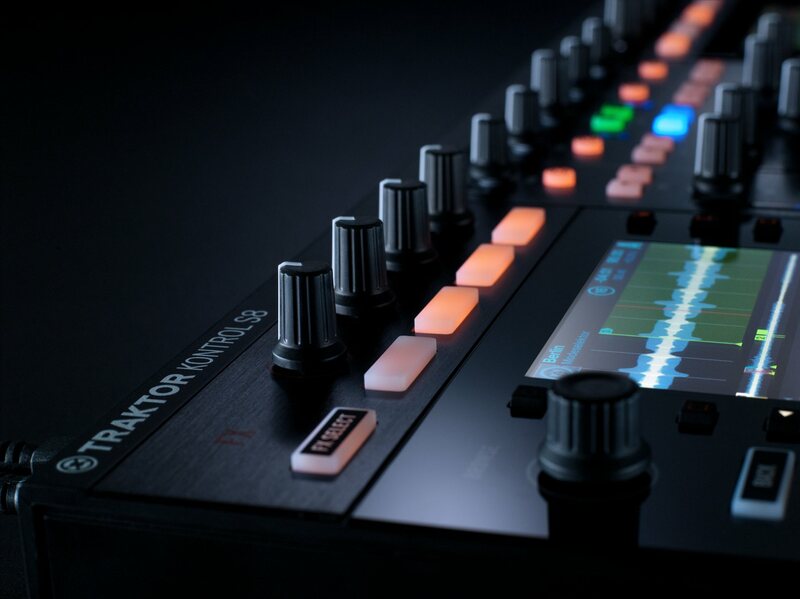 They’ve gotten better – not so long ago, a German manufacturer called Native Instruments was telling me how they had come up with something to do with magnets that made their Traktor controller better. (Ahem.) But they still aren’t as good as turntables: they lack the physical feedback and resistance that a full-sized turntable provides. Oh, and on a turntable, apart from digital control records, you can also play music encoded on vinyl discs, which you’ll conveniently find as a major means of distributing music online and in your local record store. There’s that. And that brings us to the fundamental disconnect between the controversy over these large, multi-deck controllers and the real world of DJing. Let’s not pull any punches. Right now, the single most popular DJ equipment used by pro DJs when walking into a club – the flagship of the digital DJ, if you will – is a USB stick. Somehow, in the reality I live in (but apparently not large swaths of The Internets), clubs tend to have a mixer, a couple of CDJs, and a couple of turntables. Most people use the CDJs, because relying on them means your gig doesn’t go pear-shaped and a USB stick will get you going. Some people use vinyl. Some people plug into the mixer with their laptop, and either use the records for control vinyl (with Traktor or Serato, typically), or plug in their laptop and use a controller. That last part is important, though. If you are using a laptop, you suddenly have extremely restricted space. The displays on the S8 look terrific, in that turning your head to the side to squint at your MacBook is a mood killer. But its girth is a problem. Even some very highly-paid DJs tend to a) need to work in small spaces in some clubs or b) like to bring their own mixer. And we’re talking men and women pulling in consistent five-figure fees. There’s some role for the touring DJ with something like the S8 – but it makes some assumptions. That is, there is surely some intersection between the people who get gigs on big tables and people who don’t already own a mixer they want to use. It’s just that that crossover seems not huge. And into that market comes the S8. This is a very, very capable single piece of hardware. Yes, it retails for US$1199 (1199€ with VAT), so if you already have a mixer, you probably aren’t buying one. On the other hand, if you are playing gigs where you can request some table space, or if you’re looking for a single piece of kit to outfit a new studio or home studio, it’s certainly worth a look – and will be worth a proper review. It also coexists nicely with other gear, if your mixer and audio interface are wanting an upgrade. It’s got Cirrus Logic converters, high-spec audio performance, connections for line outputs and a mic and turntables and four stereo channels. And about that controller. Sorry, please, start the flame wars, but to the jog wheels, good riddance. In their place, you get extensive controls for everything Traktor does. Traktor’s problem has been that the deep power of its decks, loop and remix capabilities, and effects are often obscured by a complex desktop UI. Here, as with Maschine, you can “play” those options like an instrument. The touch-sensitive knobs give you control over everything from the browser to decks to effects. The big display shows your music collection on the hardware so you don’t have to feel like you’re looking at a spreadsheet on your computer. And, most interestingly, you can use Freeze and live capture to sample audio from music. The pads aren’t velocity-sensitive – that’s where you know this is Traktor and not Maschine – but finally you get the kinds of easy loop/sample capabilities of Traktor on the iPad with real tactile controls. And that’s where I think we have a hint as to what the S8 might be. It’s a remix machine. It’s, weirdly, DJ hardware that could appeal to producers who also DJ. The optimistic side of me hopes the S8 finds some traction doing just that. For people billed playing live gigs, someone, somewhere could play an interesting set on it. (I think it’s unrealistic to expect that and turntables and CDJs, as seen in NI’s proposed use cases on their product site, but the controller aspect remains interesting.) And it could find some happy homes in studios. Here’s DJ TechTools with their hands-on — deservedly, as proponents of this particular brand of controllerist-centric DJing. I’ve had only a few minutes here and there with the hardware, but I was impressed. It looks beautiful; it feels expensive. Whether or not want to take it home, you can at least respect what it is. 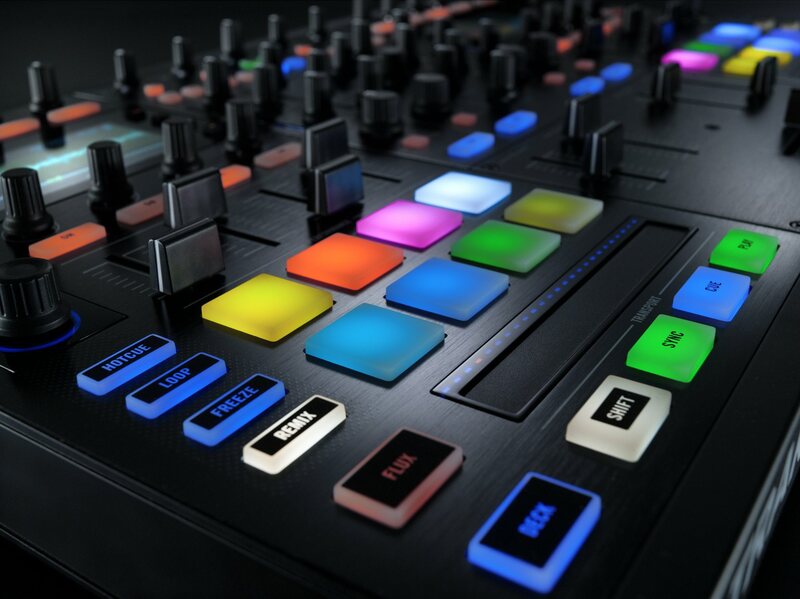 Now, personally, if NI could just give us this in a size closer to the Maschine mk2, or even Maschine Studio, I’d be interested … more interested, indeed, than I would ever say I’ve been in a DJ controller. It might even win over some producers who haven’t gotten very deep into Traktor as producers. 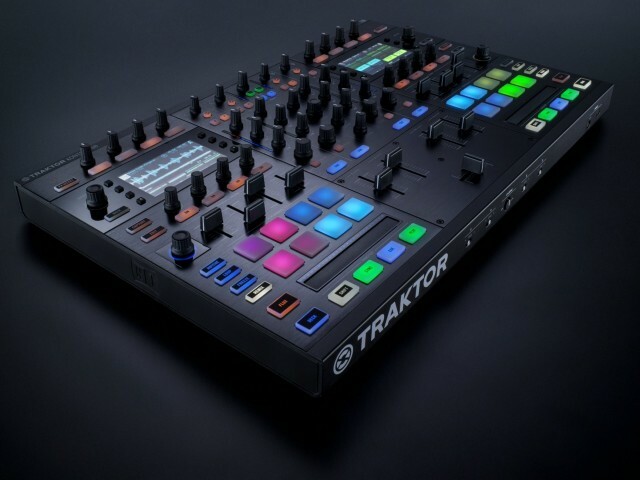 In the meantime, it remains something big and luggable and pricey, and tied exclusively to Traktor software, and also powerful – a flagship, and sized to match. But while the flame wars rage, the S8 also represents something else. The vision of DJing is finally breaking apart from faking turntables on hardware. And that, I think, can only be a good thing. The reality is, syncing two tracks may not be the most important thing DJs do any more. And maybe, looking at all DJs have been over the years, it never really was. Sticking a USB stick into a CDJ. But, hey. Competition is always, always good. By the way, I think NI really nailed the production-centric workflow of the S8 in that launch film. If you liked the music, don’t miss this Bandcamp compilation – some terrific artists here who just happened to get into the NI promo, via a great Berlin-based collective called Through My Speakers.